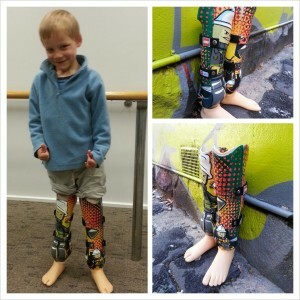 Often parents are concerned about the cost involved in their child receiving a prosthesis. During the course of your child’s treatment and recovery, the supply and funding of your child’s prosthesis will be discussed with you. Funding for a prosthesis is generally covered by the public health system. Because children grow so quickly some facilities operate a ‘limb-bank’ which allow for the exchange of prosthetic componentry. Some states also offer access to recreational prosthetics. These may include devices to support your child to participate in various sport and recreation activities. Due to funding limitations, most children will only be allocated one additional sport and recreation prosthesis – therefore you should carefully consider the needs of your child prior to making a final decision about additional devices. You should always consult with your Prosthetist to determine the most appropriate device and learn about funding availability in your state or territory.